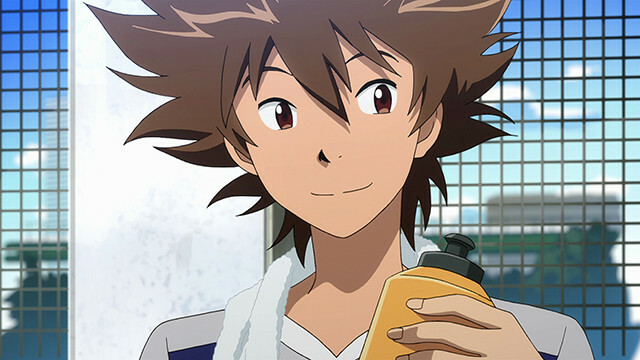 Tamer Union: Crunchyroll Acquires Rights to Digimon Adventure tri. Crunchyroll Acquires Rights to Digimon Adventure tri. November 20th, 2015. Anime streaming site and subtitle producer Crunchyroll has acquired the rights to officially subtitle the first of six Digimon Adventure tri. films. The first film, Reunion, will become available in English simultaneous to its Japanese premiere at 7:00 AM PST/10:00 AM EST on the 20th. Initial preview statements from Crunchryoll have used Japanese names for the Digimon ("BelialVamdemon") and a mixture of full Japanese names with dub abbreviations for the human cast, as well as the dub term DigiDestined. Toei Animation has generally adopted "DigiDestined" as an English equivalent to the Japanese "chosen children."